Addison-Wesley Publishing, 1994-11-20. Hardcover. Good. FAST SHIPPING. Great Service. 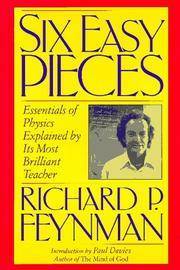 The Feynman Lectures on Physics is a 1964 physics textbook by Richard P. Feynman, Robert B. Leighton and Matthew Sands, based upon the lectures given by Feynman to undergraduate students at the California Institute of Technology (Caltech) in 1961–63. It includes lectures on mathematics, electromagnetism, Newtonian physics, quantum physics, and even the relation of physics to other sciences.